Ever get sick of the candy overload on Halloween that makes your kids CRAZY and sugar-crazed? 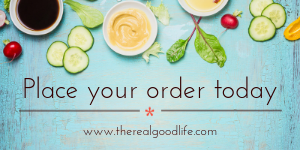 So do the good ladies behind the MKE Moms Blog! 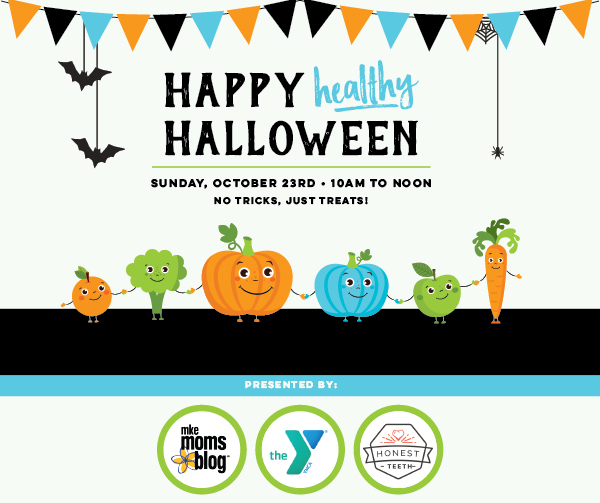 I am so excited to join them for the Happy Healthy Halloween event this Sunday (October 23rd) morning from 10 am – 12 pm at the West Suburban YMCA in Wauwatosa. The event, which is brought to you by The YMCA of Greater Waukesha County and Honest Teeth Dentistry, is a playdate-style event for families that both celebrates the fun of Halloween, but also aims to encourage healthy habits and be a safe and fun place for ALL kids, ensuring that children with food allergies or particular sensory needs are included and celebrated! One of the goals for this event was to make sure it was safe for ALL kids to enjoy. With that in mind, this event is totally nut-free and safe for kids with that food allergy. (I’m bringing “Mal Mix”, a combo of Cheerios and raisins, my daughters favorites, for all the trick-or-treaters.) In addition, there will be a Teal Pumpkin Painting Station where kids can paint their own Teal Pumpkin to bring home so your house can be a house that is recognized as food-allergy safe for trick-or-treaters on Halloween! And for the kids who need a little more quiet of a space, they are thrilled to be offering a sensory-friendly zone that is separate from the main event space. St. Francis Children’s Center is excited to manage this safe space where kids can retreat for a bit if needed to chill out and enjoy an environment designed specifically for them. Tickets are only $10 per family and costumes are encouraged for kiddos and grown-ups alike. In addition to the trick-or-treater treats, I will have a giveaway raffle for a $40 gift certificate towards a weekly delivery.